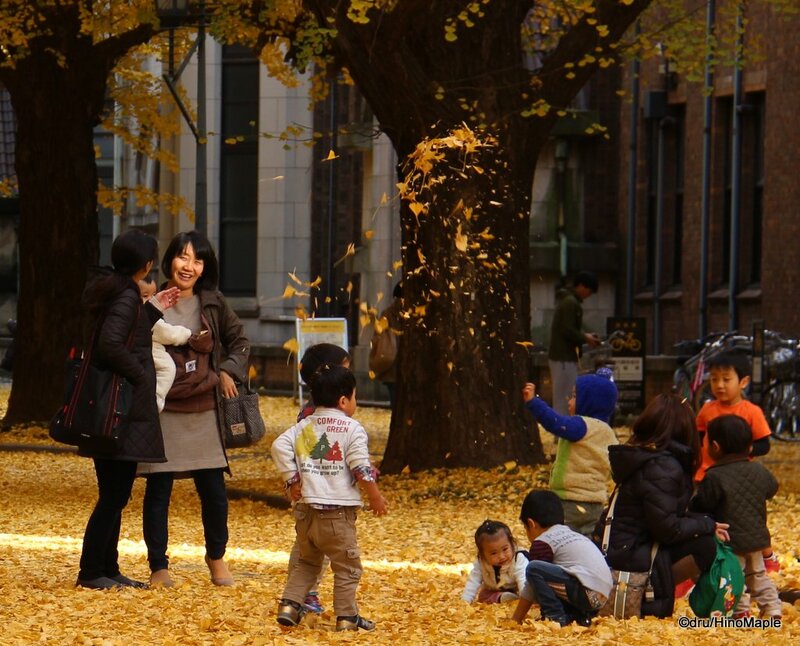 Today we take a look at what autumn is like in Tokyo. 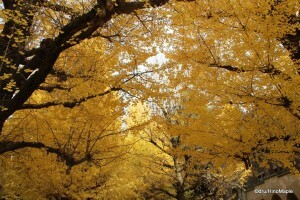 Many people remark that Japan is a beautiful country in the autumn. I will agree and coming from Vancouver where it feels like it is always green with its evergreen forests, it can be a little sad living in Tokyo just after autumn. Tokyo can be amazingly beautiful if you know where to look and the trees are magnificent this time of year. It is a short season where the leaves become golden, brilliant red, and every shade in between. Almost everywhere in Tokyo is colourful these days, and the Christmas lights do help with that at night as well. Kyoto may be the most famous place in Japan for autumn foliage but in Tokyo, I heard Tokyo University is the king, or at least one of the best places in Tokyo. I do have to agree but the autumn foliage season at Tokyo University is often a little late compared to other areas of Tokyo. Tokyo University is pretty famous for its ginkgo trees and ginkgo trees tend to change colour a little later than the other trees in Japan. I like to think of it as one last hurrah before winter really starts. It also makes me a little sad as it is a signal that winter is coming and with it, the cold weather and drab lifeless looking trees. At least it won’t be long till the weather starts to warm up again. If you want to see the full set of images, head over to the Google+ page or the Facebook Page where they all of my autumn photos will be posted. 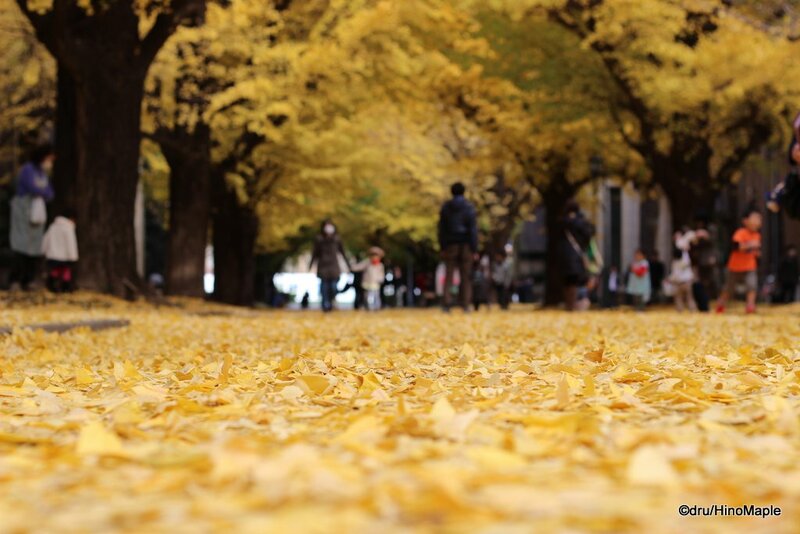 This entry was posted in Tokyo and tagged Autumn, Autumn Foliage, Autumn Leaves, fall, Fall Folliage, Fall Leaves, foliage, Gingko, Ginkgo, Ginkgo Leaves, Ginkgo Tree, japan, leaf, leaves, Todai, tokyo, Tokyo University by Dru. Bookmark the permalink. What I like of those gingko trees is not just the golden color of their leaves, but also the contrast with their dark bark. Really beautiful. The boulevard in Todai is just magnificent. “I like to think of it as one last hurrah before winter really starts.” Love that line. I think we have one more week of red and gold, and then it’s going to be gray and blah and miserable till April. Your Google+ photos are beautiful! 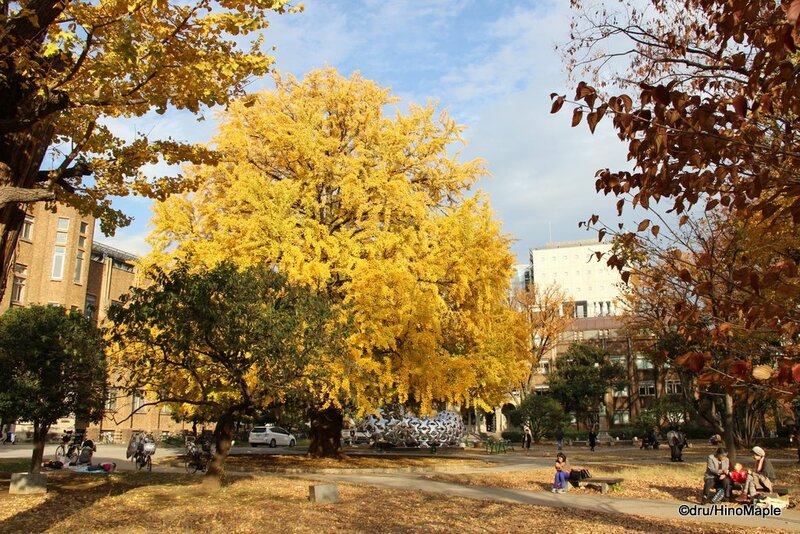 I’ve never been to Todai before but the ginkgo trees look amazing both in your photos and the one’s I’ve seen on Ru’s blog. A lot of universities seem to have the avenue of ginkgo trees. Were the one’s at Todai male or female? My universities had the female trees so we literally could not use the main entrance during the fall because of the gin-nan smell! It was Ru who encouraged me to go to Todai. I think they are all males, but I could be wrong. It is such a beautiful sight. 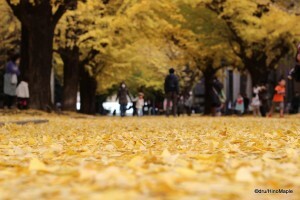 I remember the trees in Nishi-Shinjuku very well. I used to walk around there all the time. 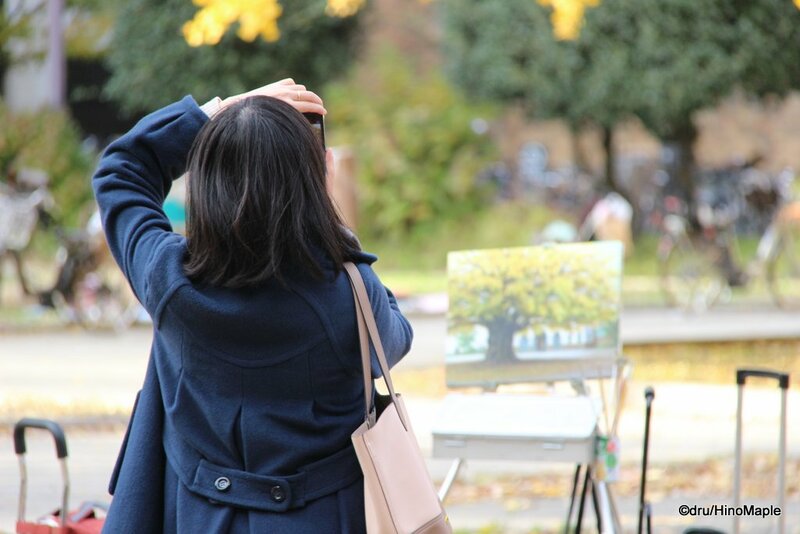 The trees in Chuo-koen are very lovely too. I should go back next year, but not too sure. The trees in Nishi-Shinjuku are at their peak right now. You can get stunning shots of the yellow trees against the tall buildings.